"Make haste, slowly," translates to Latin as Festina Lente. 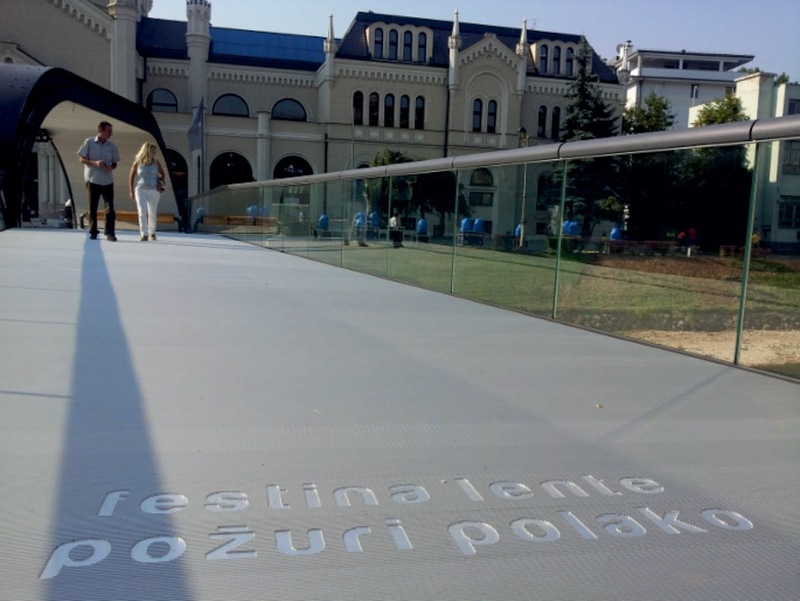 the phrase fits the design of a new bridge in Sarajevo spanning the Miljacka River. 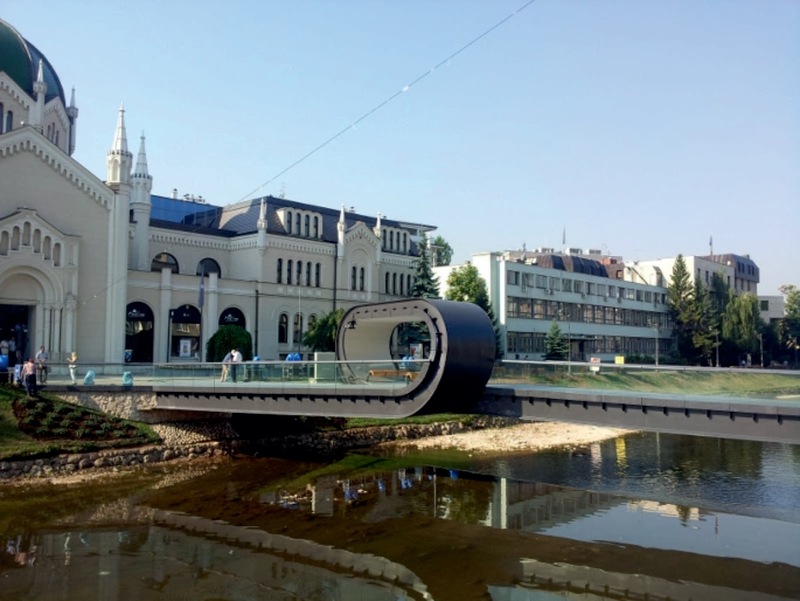 Situated beside the Academy of Fine Arts, the bridge was designed by three former students: Adan Alagic, Bojan Kanlic, and Amila Hrustic. the loop-the-loop at center creates a shelter, and also offers a unique resting point in the city. The steel bridge is paved with aluminium plates and fitted with benches made of smooth round logs. 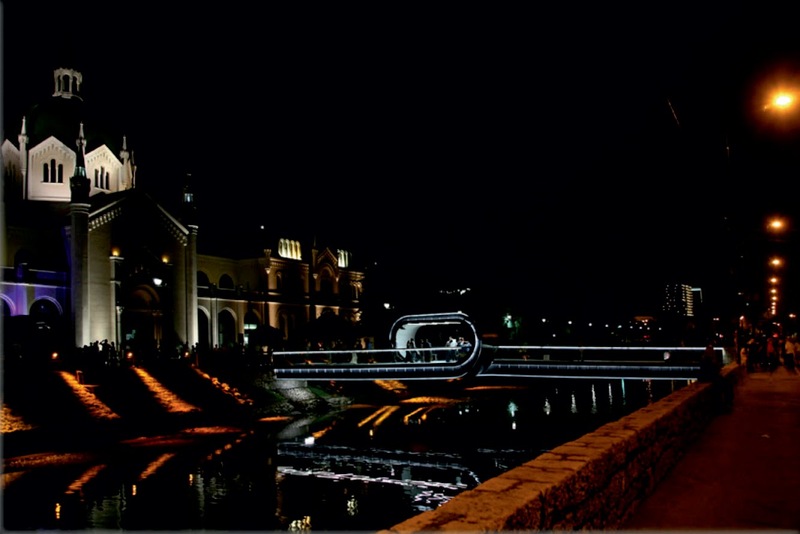 At night the bridge is lit by Leds. 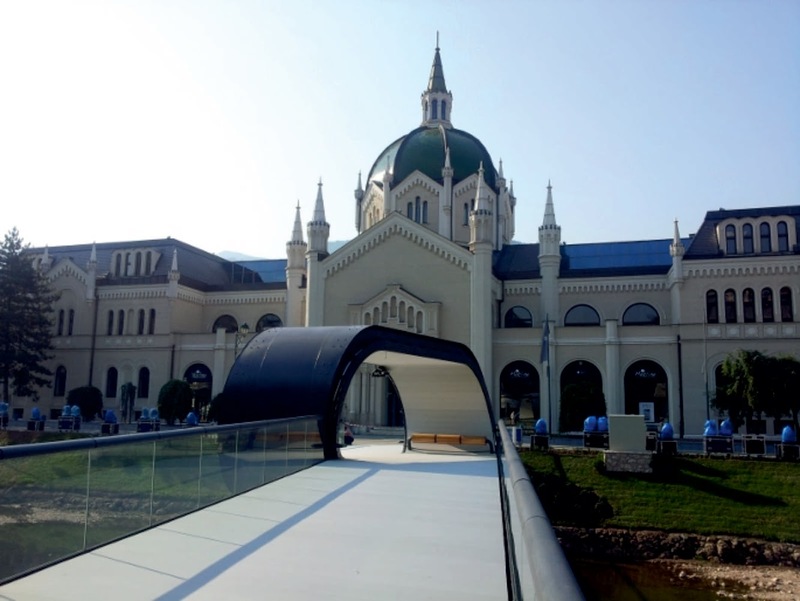 “The basic idea of the bridge is the union of the secular and spiritual,” explain the designers, noting that the academy was formerly a church. 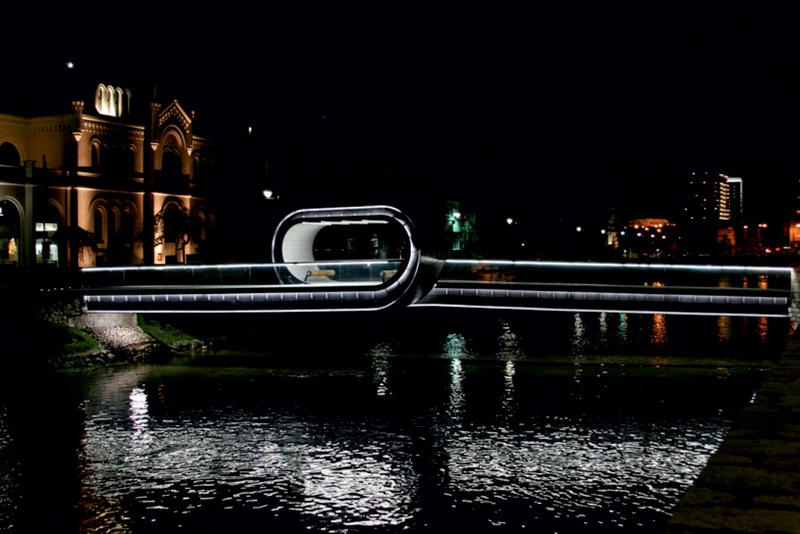 ”The loop on the bridge is a symbolic gate,” they add. Crossing the bridge is a unique experience because of its specific layout and the views that we encounter when going through the gate (the closed part of the bridge), preparing us to enter into another dimension and awake spirituality. 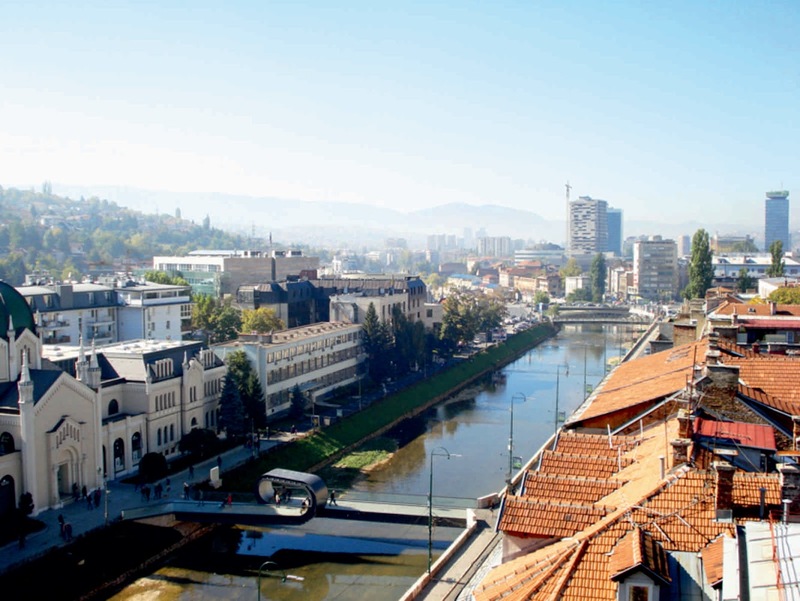 Technological solutions and the modern design of the bridge become the brand of Sarajevo. the bridge spans 38 metres. 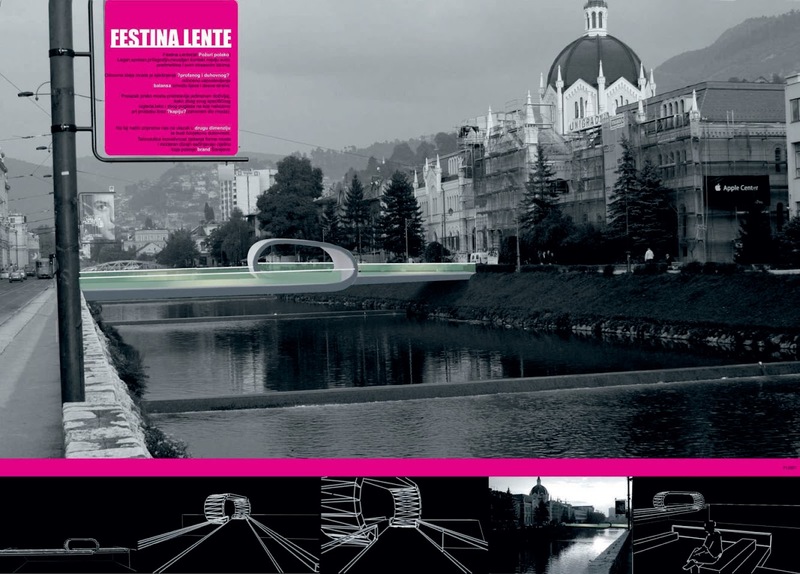 the bridge creates a true “genius loci” appropriate to the area in front of the temple as the Academy of Fine Arts. 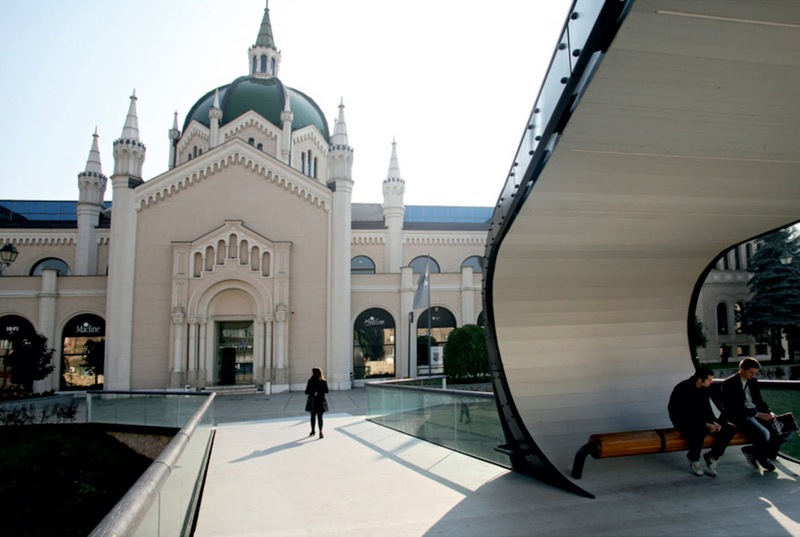 The former church, today the Academy of Fine Arts, was built in the time of the Viennese secession. Its form is unique, simple and attractive at the same time and because of the unexpectedness triggers a series of associations, establishing a new vision. The loop on the bridge is a symbolic gate – in our traditions, entrances in the cities have always been marked by gates. 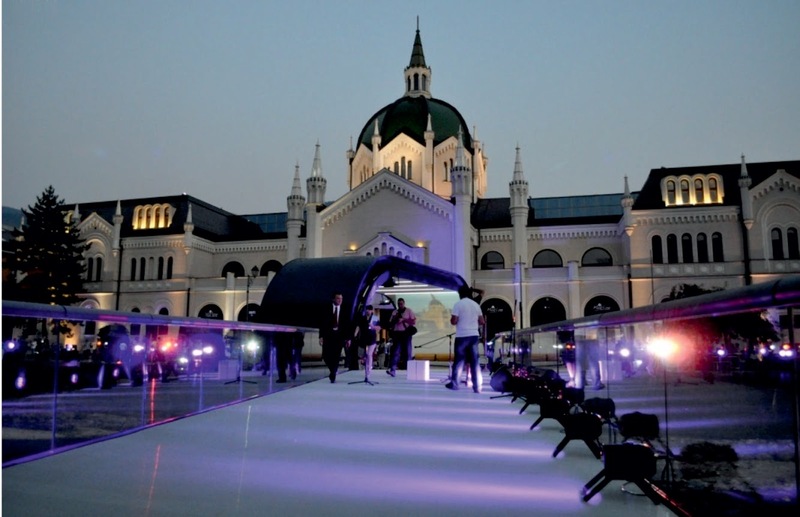 Line appears on most Secession facilities, among which is the Academy of Fine Arts. Around the bridge we have different styles of facilities and two benches which are completely different, one covered with grass and another built from stone, which we decided on for visual contrast. 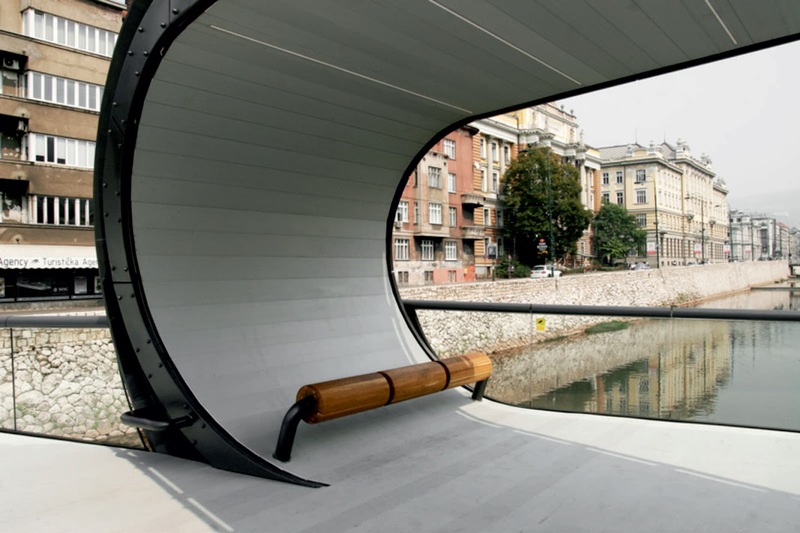 On the bridge are two benches in covered sections, so it’s a place of meeting and interacting.